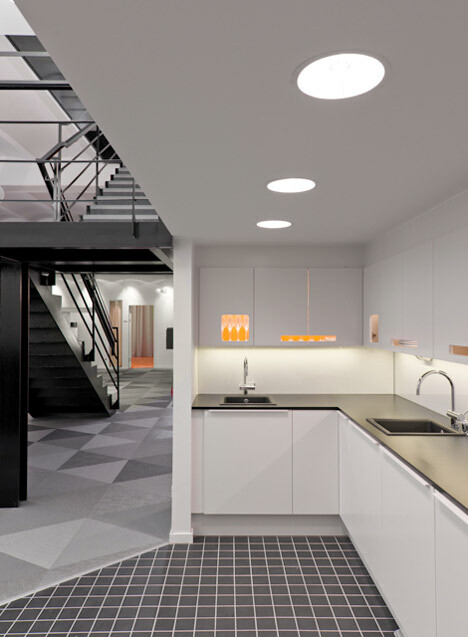 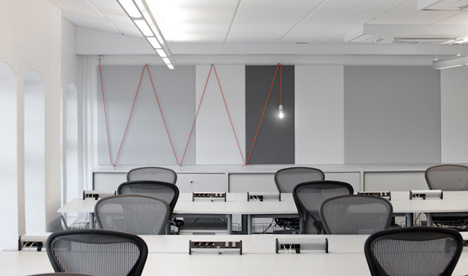 Created within a former brewery, the project comprises audio and video studios, offices and social areas for 100 staff. 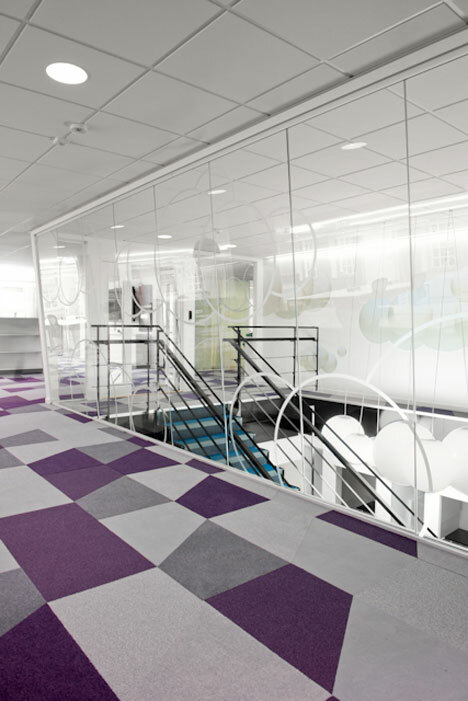 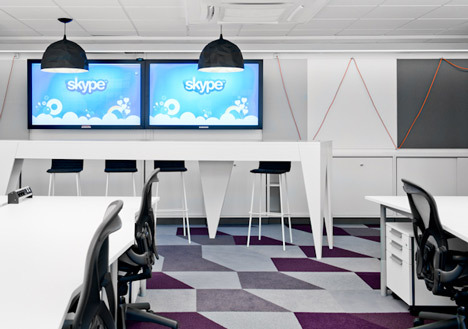 The scheme features white walls, wooden floors and colourful rounded furniture, with custom-made wallpaper featuring Skype’s logo and symbols. 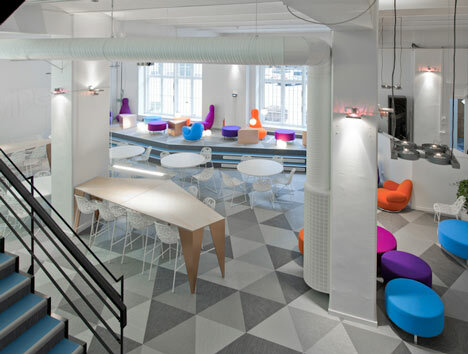 Skype moved from a smaller office at Slussen, Stockholm to the Münchenbrewery 11 april 2011. 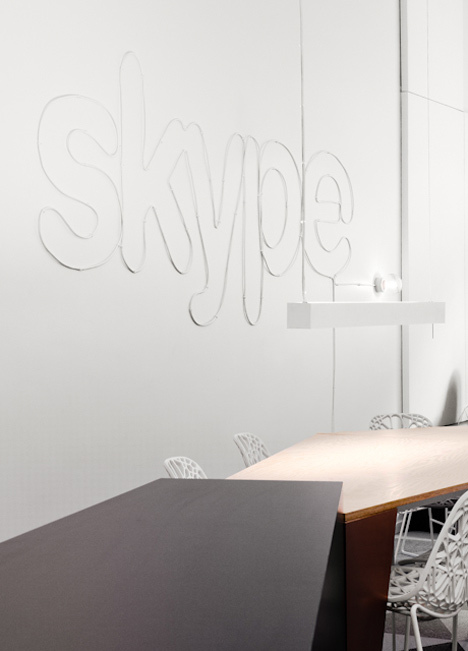 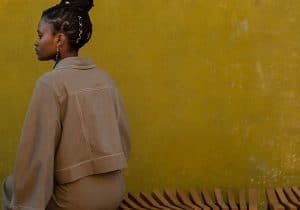 The office design is based on the spirit of Skype, how it is a useful and playful tool that connects the world. 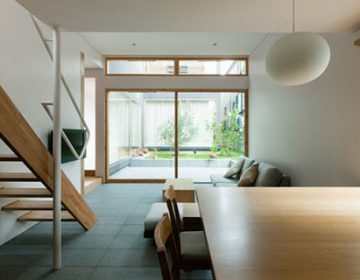 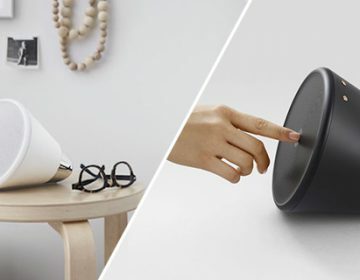 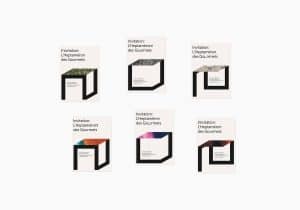 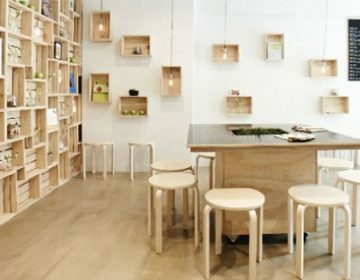 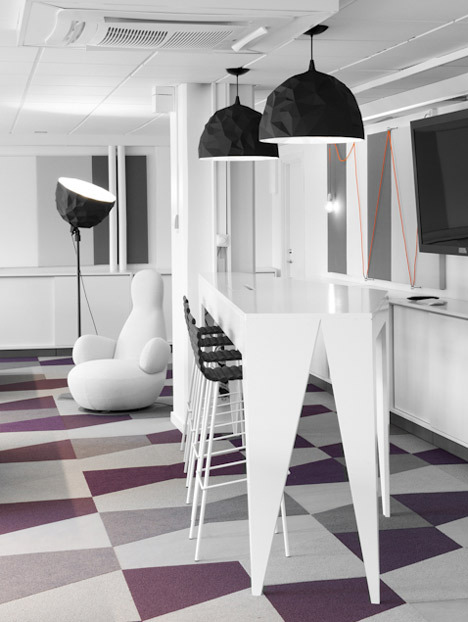 The in-between shapes of interconnected nodes has given us romboid and triangular shapes that is visible in the flooring and in the design of some of the hard furniture. 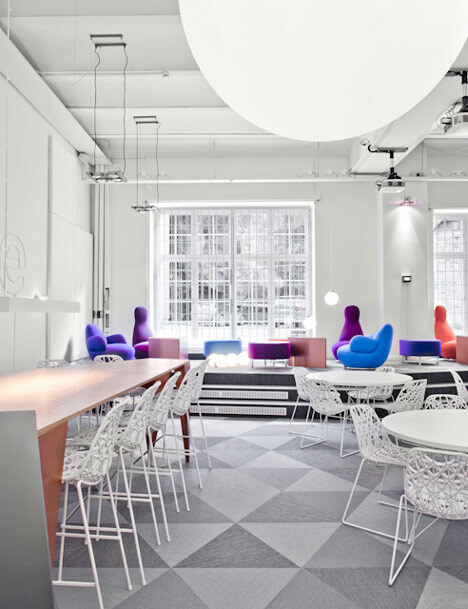 The playful happy theme in colours and soft furniture comes from the Skype graphics and the Skype cloud logo is reinterpreted as cloud-shaped lighting throughout the office space. 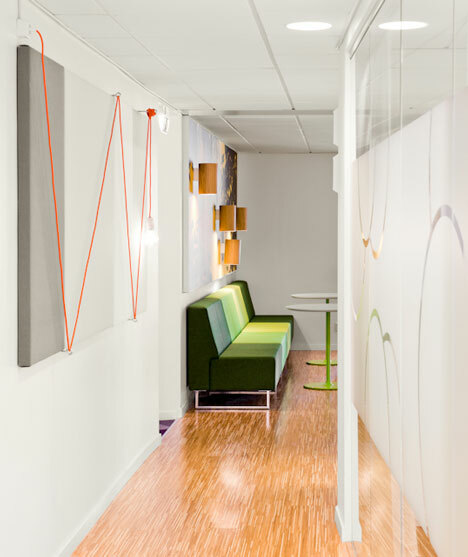 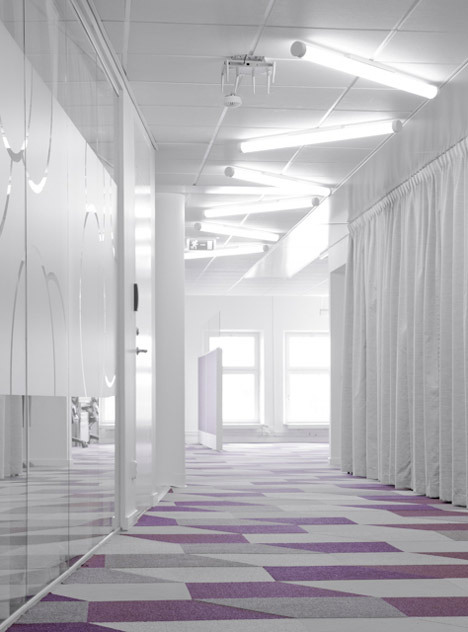 The Stockholm office predominately works with audio- and video development and this is manifested in the special made wallpapers with cables, earphones and other devices linked to audio-video technique. 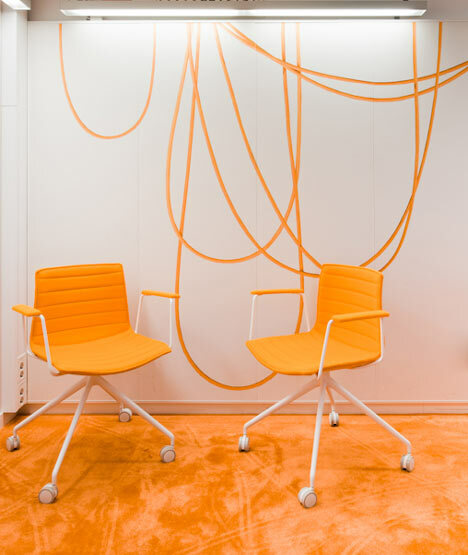 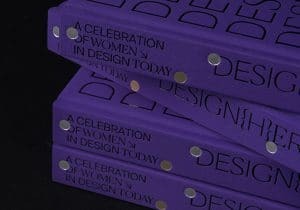 Team: Mette Larsson-Wedborn (head project architect), Peter Sahlin, Beata Denton, Thérèse Svalling and Erika Janunger.